We have the knowledge, we have the experience and now we have the equipment. With over 30 years experience in the equipment hire industry, hoisting and elevating goods and equipment to height, we understand the need for speedy, cost effective and, above all, safe methods of work. In simple terms, we supply the means to elevate goods to height on the outside of your building. We like to pride ourselves on being problem solvers for our customers, so, if you have a problem in getting items into or out of a building at height, call us in. 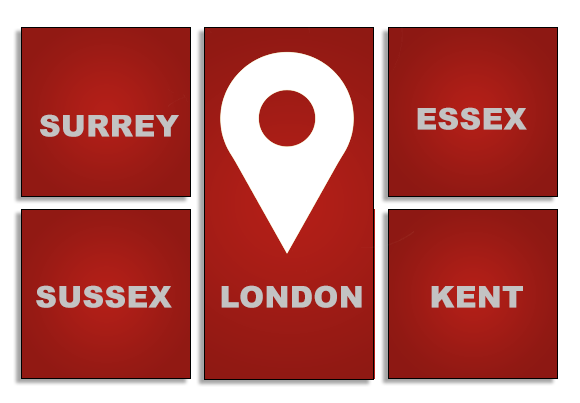 Our standard operating area extends from Margate to Oxford and from Southampton to Northampton covering all towns within this area. For longer term or major construction projects we cover the whole of the UK. Are fully factory trained to ensure the safe set up and use of the machine. Supported directly by the German manufacturers, Paus, we can offer the latest equipment to the highest possible CE approved safety and engineering standards. Rest assured we have a major support network behind us. Why Use a Furniture Hoist? From Essex to Sussex, Basildon to Brighton, If you have bulky items that you need to move to the upper floors or roof of your building you may well encounter a narrow stair well, a small lift, narrow doors and tight turns all of which you have to manoeuvre around. This means that your move will take extra time, possibly require extra labour and certainly increase the risk of damage to the building and the goods. Every one of these factors increases costs to your business. However if you have a balcony or even a large window the items can be lifted or lowered on the outside of the building using the furniture hoist. 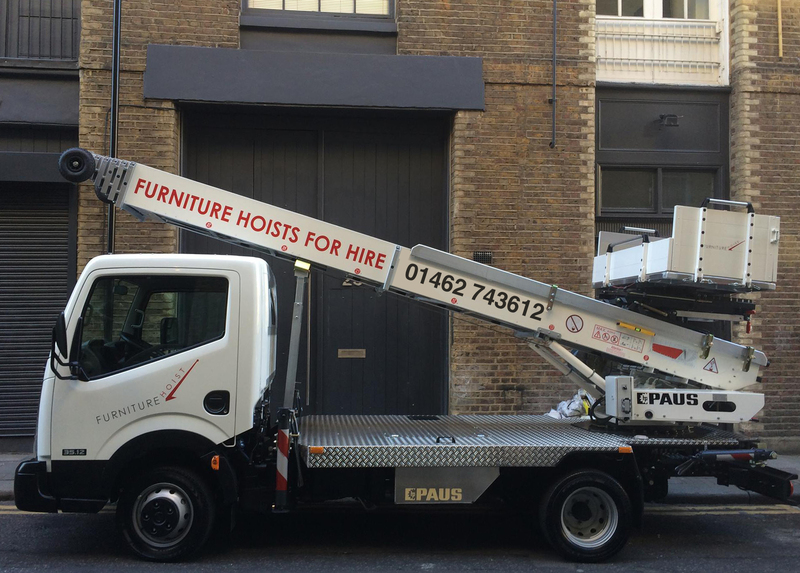 Goods lifting in London – The Furniture Hoist CompanyUsing the furniture hoist is fast, safe and efficient, with considerable savings in labour. There is less handling as loads are elevated directly from the street to the upper floor. It saves on the backbreaking work involved in lifting heavy, bulky or multiple loads up and down stairs. A further advantage to lifting on the outside of the building is that less damage is done to the items being moved as well as to the internal corridors, stairwells and lifts. Piano movers in London – The Furniture Hoist CompanyIf you are involved in building renovation, larger sheets of building materials such as plasterboard and plywood can be passed up safely and efficiently. There is no need to order smaller sheets to fit through narrow doors, lifts and stairwells. This means additional savings in construction time, as fewer joins are necessary. There are health and safety advantages to working with the lift. Loads are lifted square on, rather than around awkward corners up stairs, resulting in fewer back injuries leading to less employee sick leave, and fewer claims under the Manual Handling Act (2004) and ultimately lower company costs. For longer term or major construction projects we cover the whole of the UK. So, next time you need to lift a load into or out a building call us to make your job quicker, safer and trouble free.